CrossPointe Winter Park is looking for a part-time Youth and Ministry Coordinator. 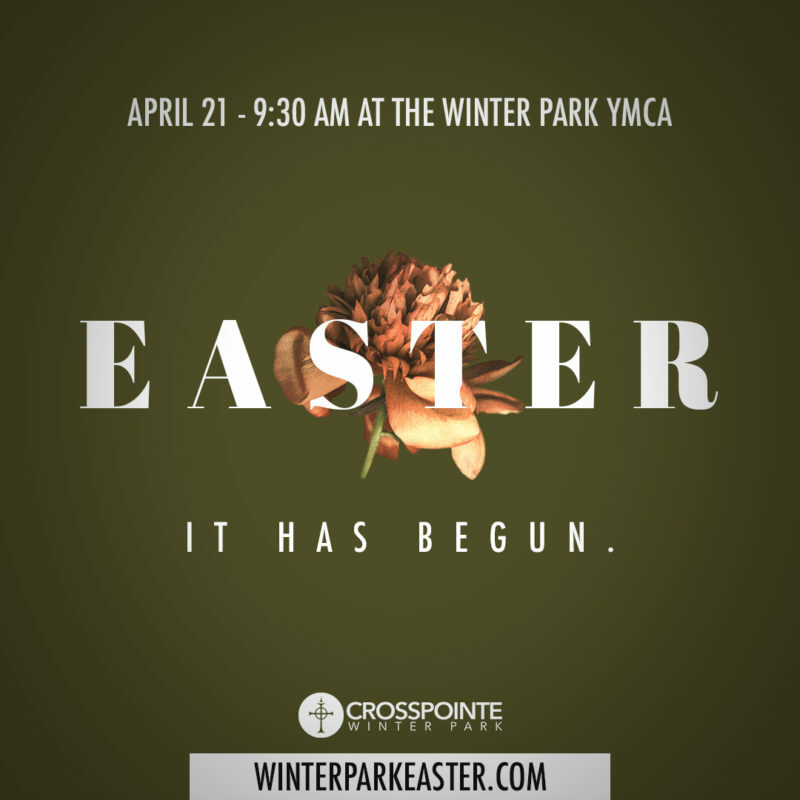 CrossPointe Winter Park is a 10 year old Acts 29 church with average attendance of 200 people each week (130 adults and 70 children) and a youth group of approximately 15 students. Our partnership with the Winter Park YMCA has borne a new strategic opportunity for our youth ministry to meet in and utilize the YMCA facility for gatherings and outreach. The Youth and Ministry Coordinator, in collaboration with the elders, is responsible for ensuring healthy, vibrant, gospel-centered, people-focused ministries to students. Though ministry to youth is the primary focus, we are open to adding a secondary focus to the role given the candidate has the requisite skill set and time availability. At the maximum this role is part-time position salaried for 20-25 hours a week. Interested candidates should send a resume to [email protected]. An ever-growing personal relationship with Jesus Christ is the most vital qualification of this position. Our ideal candidate would have experience ministering to middle school and high school students. In addition, the individual must have a proven track record of effective leadership, judgment, evangelism and above reproach character. This person must have the capacity to manage individuals and teams successfully while serving the needs of the position. The Pointe Student Ministry (15 hours) – Lead a team of volunteers leaders to disciple and make disciples of middle school and high school students in the Winter Park and surrounding areas. This will include planning and executing our youth group weekly gathering at the YMCA. Recruiting and training adult volunteer leaders. Discipling students to engage more deeply with God and their friends. Having an active presence at the Winter Park YMCA through serving as a weekly youth chaplain. Connecting with students and parents at our Sunday morning worship service. Attending weekly staff meeting. Sunday Morning Operations Crew – Work with Ops Crew team to discuss and coordinate setup needs. Provide weekly logistical communication to Ops Crew team leads to ensure anything discussed during staff meeting is communicated to the appropriate people. Serve as one of the regularly scheduled drivers for the setup trailer. Schedule volunteers to serve in 4-6 week rotations and recruit more volunteers as needed. Communications/Administration – Maintain CrossPointe Winter Park social media pages (Facebook, Instagram, Vimeo). Assist in formation of graphics for sermon series and church events. Edit and upload weekly sermon video. Connector – Assist pastoral staff in identifying and following up with visitors at our Sunday morning service. Help members and regular attenders of CrossPointe become more involved in mid-week ministries such as community groups, men’s/women’s Bible studies and events.